Rishikesh School of Yoga is the oldest school located in the city popularly known as, "Yoga Capital of World". In the 1990s, we were the only school in this holy city but our traditions are thousands of years old. We provide yoga teacher training courses based on the ancient styles including; 200 Hour YogaTeacher Training Courses, 300 Hour Yoga Teacher Training Courses and 500 Hour Yoga Teacher Training Courses registered with Yoga Alliance, USA. Besides Yoga Courses, we also offer spiritual courses like yoga retreats, meditation, prana sadhana and much more. We are the original and oldest yoga school in Rishikesh. 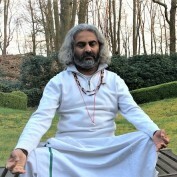 For people who want to develop a connection with their best self, their true self, we share not only the secrets of yoga but give you a traditional Brahman/ashram environment. This helps you achieve the goal of yoga, to experience transcendental consciousness and unite with the Supreme self.